UFC’s middleweight champ Anderson Silva stays undefeated in the UFC octagon for almost five years, with a 14-fight unbeaten streak and an almost universally rank top pound-for-pound fighter for MMA. The “super fighter” as what they call him, whenever UFC holds an event and a new champ emerges, people wonder if they’ll be pairing the champ against Silva in the future. Just like what happened once Jon Jones finished off Maurcio “Shogun” Rua. Are they facing each other next? As much as everyone would love that idea, Silva on the other hand says no to going back to 205 pounds again. The fighter informed UFC big boss Dana White that he’ll finish off his career as a middleweight. 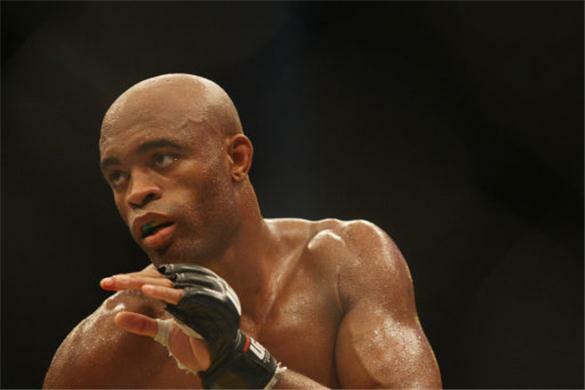 “Anderson Silva has made it very clear to me that he does not want to fight at 205 pounds,” White stated following UFC 128. He’s more likely to face either Yushin Okami or Georges St-Pierre if he will be able to get past Jake Shields at UFC 129. According to White, Silva only tested his skills as a 205 pounder because of UFC. Now, he stays contended at 185 lbs and will defend his title until his last MMA game. “Originally, when I was always talking about him trying to go for another belt at 205 pounds, and he stuck his big toe in it a couple times, I think because I was pushing the issue. He’s made it very clear he doesn’t want to fight at 205,” White stated.